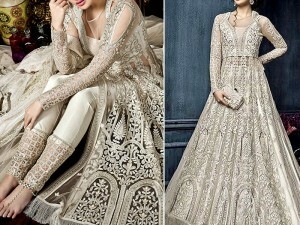 Don't we all love dazzling on the dance floor when it is your cousin's wedding or it may be your best friend getting married! 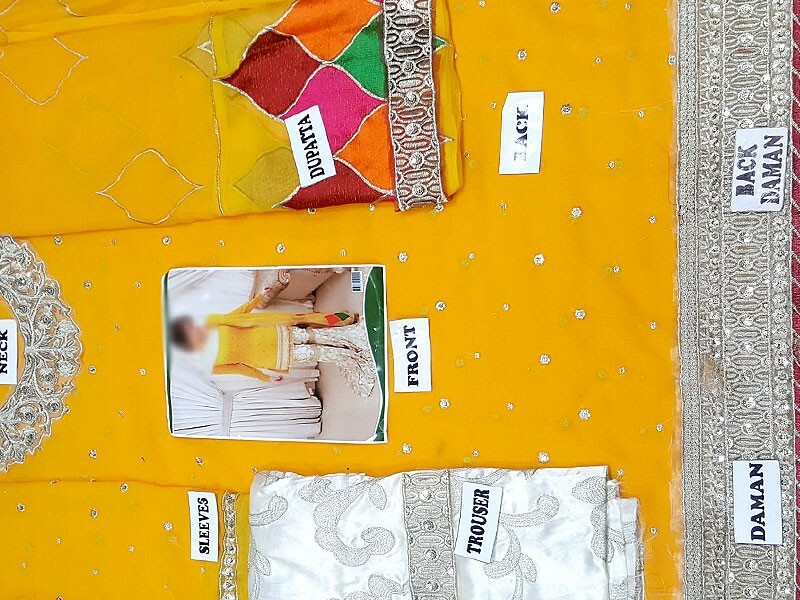 To make sure you look absolutely gorgeous, this yellow chiffon suit is your best bet. Made from the finest quality chiffon material and embellished with classic embroidery, this yellow chiffon dress catches the eye of everyone around you. Be it a Mehendi function or a simple festive gathering, this yellow chiffon dress will dish out a lot of compliments for you. 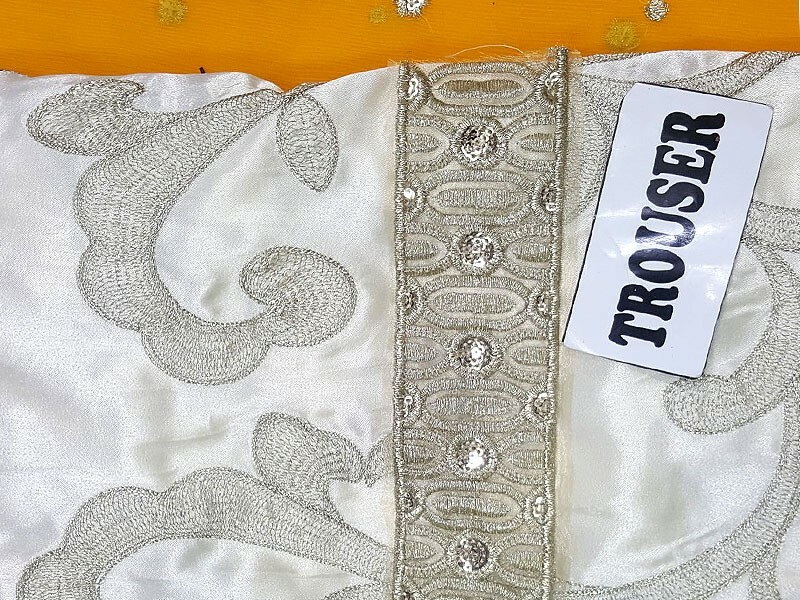 The Embroidered Chiffon Yellow Mehndi Dress comes with a silk trouser and heavily embellished daman, embroidered sleeves as well as the embroidered neckline. 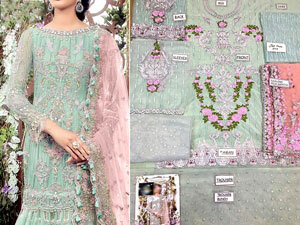 The dupatta is also embellished with some fine quality embroidery that complements the dress contrast very beautifully. Embroidered Chiffon Yellow Mehndi Dress Price in Pakistan (Code: M010064) offer by PakStyle are just Rs.3195/- instead of Rs.4500/-. 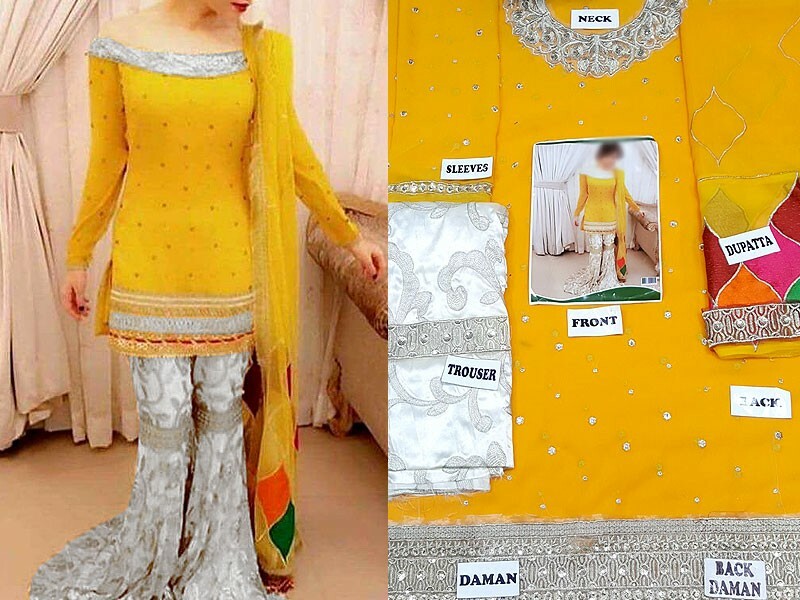 Buy Embroidered Chiffon Yellow Mehndi Dress Online in Pakistan and variety of other products like Womens Clothing, Womens Dresses, Chiffon Suits, Mehndi Dresses at PakStyle.pk and enjoy Fast Shipping with Free Home Delivery in Karachi, Lahore, Rawalpindi, Islamabad, Faisalabad, Hyderabad, Quetta, Peshawar, all across Pakistan and get it delivered in 1-4 working days.